Less whining, more discussions & advice on how to get as close to 13,500 points for Type 59. I have so far only played 3 battles for the event, started late. No platoons. 1232xp (4180dmg) <- I was undertier, had 6 spots, dealt 4k+. Still only 1232 xp.... Much harder to get XP than Tier X. Now that i think about it, you just need a few conditions to ensure you get as close as possible. 99% of us will need to use gold to complete. Face that fact before putting your time into this event. Or be like me, i am just aiming for that nice all-vehicle Camouflage. I'm assuming that some amount of gold will still be needed in the end as 13,500 is just too hard unless your name is GooglePlex. 1. For a win rate of 50%, you already will win 15/30. Now all you need is to ensure that of those 15, 10 are your best performances. Sounds challenging sure, but if you just managed to damage farm about 2x your tank's hp (Approx 3k-4k damage) in a Tier 8-10 win, you already have ~1000+ XP automatically. And that's based almost entirely upon just going into games wanting to deal as much damage as possible with the win. 10 best in 30 to get at least ~10,000 is thus at least realistically doable for 50%+ players. 2. This event is based on XP, which means based fully on your abilities, skills, experiences, tactics and know how of maps. If you spot more, you get more. If you deal more damage, you get more. If you damage tracks, racks, you get more. If you set sht on fire, you get more. So what does this mean? The ones who sit behind in their HTs, camping 2minutes to get one shot off behind a bush, will be the ones getting garbage xp if they even win. You have to be aggressive, yet know how to conserve hitpoints. You have to spot, yet know how to survive. You have to deal damage, yet win the trade off. 3. I would recommend turning off Supremacy, as it may cut into your XP grind. Supremacy games can end undesirably early. 4. Drive tanks that have the ability to carry games or be the deciding factor at the end. You will be carrying a lot if you want to get 1000+ xp per battle. 5. Select your tier carefully. 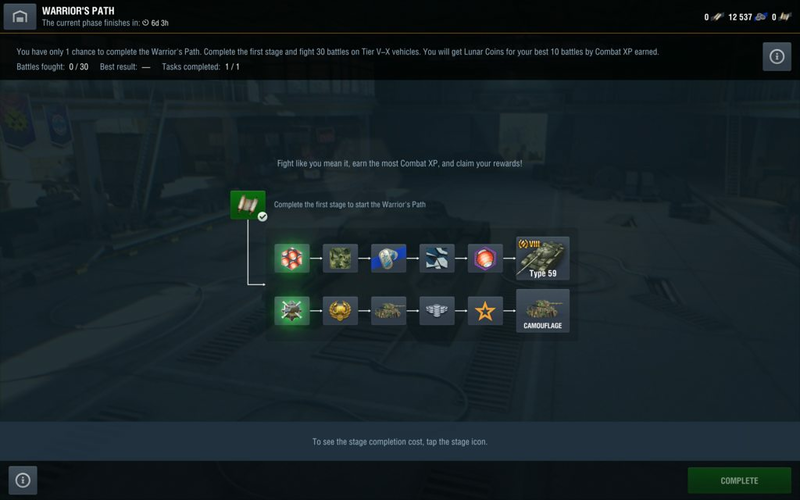 Tier X may give the most XP, but if you do not have experience in Tier X or have a poor winrate in that tier, you will just be losing more. I'd rather you played your best tier/tank, rather than select the highest tier possible. 6. Pray to god for as many team burdens as possible in both teams. 7. With reference to my little stat graph below. Take note that February 1 & 3 are Fridays & Sundays. As with the famous WEEKEND SYNDROME, they are usually bad for your battles. Might suggest you try to complete your 30 battles before the weekend arrives. My Obj 140 stats for the last few days. Don't forget that the losses won't really count, as its best 10 out of 30. Seems possible, though i'd doubt i get 13500 either. Most likely 10000-11000. Edited by ZIGZAGZ, 07 February 2019 - 05:43 AM. That all sounds pretty reasonable, except that I'm not sure about your advice regarding supremacy. As I understand it, Supremacy mode gives more XP than Encounter, especially if you cap bases (you get xp for earning victory points). If you play aggressively and contest caps, you should earn more xp from supremacy games than from a similar damage game in encounter. That being said, I note your comment about games finishing early. If you're a camper, or playing campy TDs, then you might be better off in encounter only. Would say that Supremacy could be kept on (capping bases gives you XP), but it's all down to the player's playstyle. But many good points there. You have a point there. Capping does give XP. But sadly, it is harder to control a Supremacy game (especially a win) as the tank line up contributes more to a Supremacy win, than with an encounter win. Many people also opt for slower HTs or TDs which mean that they could end up losing a 4k damage battle that they carry, if the smart little Batchat decided to just run around capping bases in a 1v1 or 2v1 for that matter.... I've seen people lose Supremacy battles with 5 teammates alive, and that's just a turn off for me. Also, just think about how many Supremacy games end with not all 7 enemies or teammates killed. All that damage potential, could be the XP differential that Encounter makes up for. But if you prefer supremacy due to your style of play, by all means too! Edited by ZIGZAGZ, 06 February 2019 - 02:29 AM. You should do the opposite . Turn encounter off . Play only supremacy . You will get more xp in supremacy . Play a fast medium or a light . Play a clipper . I had to pay 1445 gold to complete the line for Type 59. Luckily I had spare gold left from Update 5.5. My highest XP in one battle was 1,588 XP in an Obj 140, Encounter, 5472 damage. Edited by ZIGZAGZ, 07 February 2019 - 05:30 AM. Don’t stress it’s a pretty much outdated medium anyway. You're not missing out on much, I tried the Type 59, and although it is a good credit grinder, has nothing special going for it. Unless you're only <3k gold away, i wouldn't really recommend wasting all that gold.